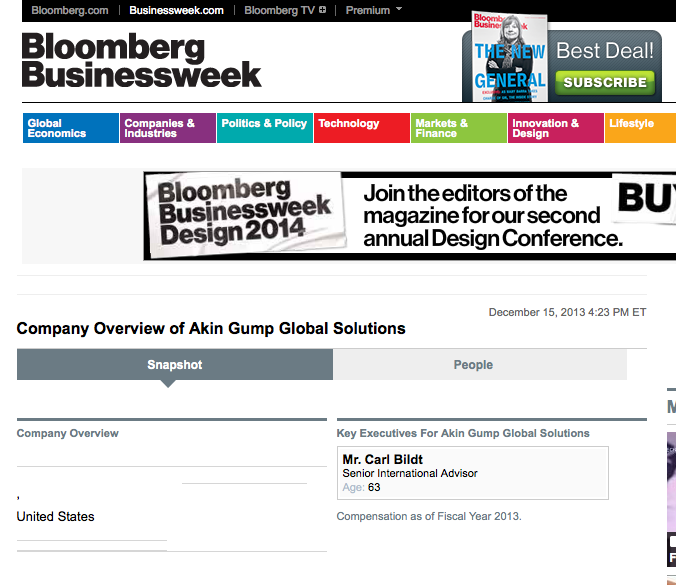 How Bloomberg-Businessesweek’s Table “Board Members affiliated with Carl Bildt” shows our Minister of Foreign Affairs in a same “tree” connected to people at “Booz Allen Hamilton Corporation”, the NSA security contractor that employed Snowden? 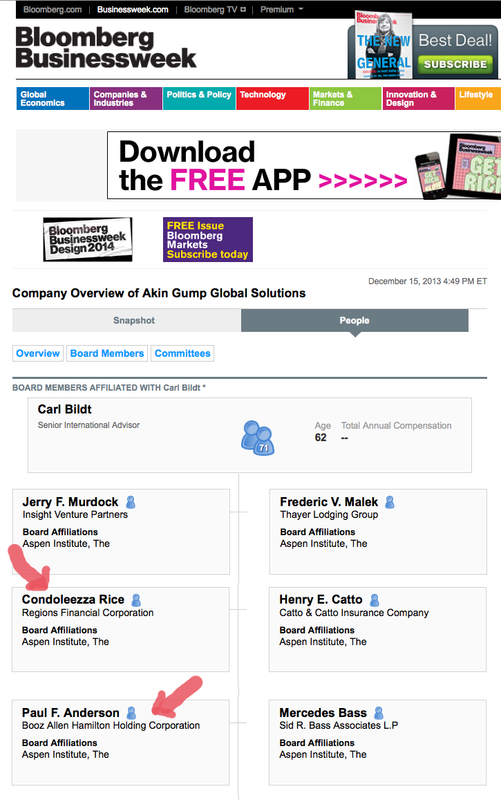 And with George Bush’s FM Condoleezza Rice? Pick your coincidence. 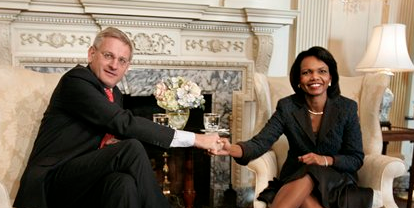 Minister Carl Bildt “Assange’s prosecutor”? Not technically; but politically, yes; quite, I dare say.